A reblog from my friend Rich Weatherly. Speaks for itself! Dear Reader, this is the first time I’ve personally posted my new award winning poem It placed 1st in the Poetry Society of Texas Performance Poetry Annual Competition. Credits follow the poem. The poem is written in the form of a Dramatic Monologue. I am a Vietnam Veteran. I served with MACV-SOG from July 1966-July 1967. I was stunned, when I returned at the negative or even hostile attitudes of many of the American people. I still can’t quite understand it. I know that many of the national opinion-makers, starting with Walter Cronkite, soured the public’s view toward its own military, but there are other factors, too. Some of them did not come from domestic sources. March 29, 2016 has been designated as a day to honor Vietnam Veterans. Better late than never, I suppose. The following bit of poetry comes from a chapbook called Finding The Way Home. The picture is of a Vietnam Veteran standing in a crowd that is enthusiastically welcoming the veterans of Desert Storm as they make their triumphant return. The Vietnam Vet doesn’t resent them, he only feels painful envy. like sweat in an open gash. under this new American sky. and if they have their ribbons. showing no sign of passage. victorious columns in desert tan. like pain in an amputated limb. walking beside me on unquiet waters. I throw in a lake. I did not return alone. I think I’ve posted this short meditation before, but this morning seems to be a time to post it again. The four Gospels tell the story of Christ’s betrayal, mock trial and crucifixion with few variations. All of these events took place on Friday, the day before the Sabbath. The Romans who crucified Jesus were going around Golgotha’s hill breaking the legs of those who had been crucified to assure their deaths before the beginning of the Sabbath, which commences a few minutes before sundown on Friday and lasts until three stars are visible in the Saturday night sky. The bible does not directly tell us what happened to the people who were closest to Jesus on the Sabbath immediately following his crucifixion and burial. We can only speculate. Based on what we do know about several of Christ’s closest followers, we can imagine how the night and day following the death of Jesus affected them. In the Gospel of John, the Apostle often refers to himself as the “…disciple whom Jesus loved.” Not only was he one of the twelve, he was, along with his brother James and Simon Peter, a member of those closest to Jesus and, more—considered himself as the Lord’s best friend. Recall that those three were selected to be with Christ during the transfiguration. As darkness flowed over Israel the night after Jesus was crucified, John probably had Mary, Jesus’ mother, in his house. He had, at the foot of the cross, been charged with acting as Mary’s son. Possibly she was the one who lighted the candles for the Shabbat. John could hardly forget how, in the Garden of Gethsemane, Jesus had asked that he, James and Peter stay awake with him on the night he was in agonizing prayer before the crucifixion and they could not. He, along with most of the Disciples ran away at the approach of the chief priests and temple guard. Remorse over his failure must have deepened his grief. Did he sleep at all during that during that dark Sabbath? Did Peter sleep that Friday night? Could he truly rest during the following Sabbath day? The woman whose name is, after the mother of Jesus, the most prominently mentioned woman in the Gospels, was faithful to her Lord throughout the Passion. She and Jesus’ mother did not leave the awful scene on Golgotha. They were there until the final moments and didn’t desert Him as his body was laid in the tomb. The women probably saw the mighty stone rolled in place to seal the entrance. Despair and pain must’ve filled the night and following day. We may speculate that she spent that night and the following Sabbath in the house with Jesus’ mother. This is because the scriptures describe them as being at the tomb together on the third morning. Mary Magdalene, the woman who had been possessed by demons before Christ healed her, was faithful to Him through the hour of His death. Did she sleep past tears and mourning during those awful hours following Jesus’ death? God chose Mary to bring Jesus into this world and nurture him through his childhood. Although the Gospel of Luke describes her as “…troubled…” when Gabriel told her of her mission, the sense of deep fear isn’t in the story. Remember, Luke was not, physically, one of the Apostles. His recounting of the Annunciation could have only come from interviewing Mary. With no scripture that speaks of the desolate day following Christ’s crucifixion, it is possible to consider that the woman who was Jesus’ mother had a deep faith that her son’s death was not final. She must’ve mourned and felt bereft of her reason for living and the treasure God had given her. Did she sleep? Could any of these, who were closest to Jesus, find rest until they knew He was resurrected. Certainly, there was no peace in their hearts until they had seen Christ again, much as there is no true peace in our hearts until we have seen Him. Today starts Daylight Savings Time. That is, for me, a more definite indication of Spring. I wrote this poem several years ago and usually post it at this time of year. the Canada gander stands guard. like a department store floorwalker. and marked the changing of seasons. for the cool of their nesting grounds? making their own seasons of change. The Paperback Is Now Available! For authors who deal with Amazon: timing is important. If you want your book available in digital, audio and paperback—plan ahead if you’d like all three versions available at the same time. If your audiobook (through ACX) meets standards, there’s a seven-to-ten business day waiting period. I have some excellent news! 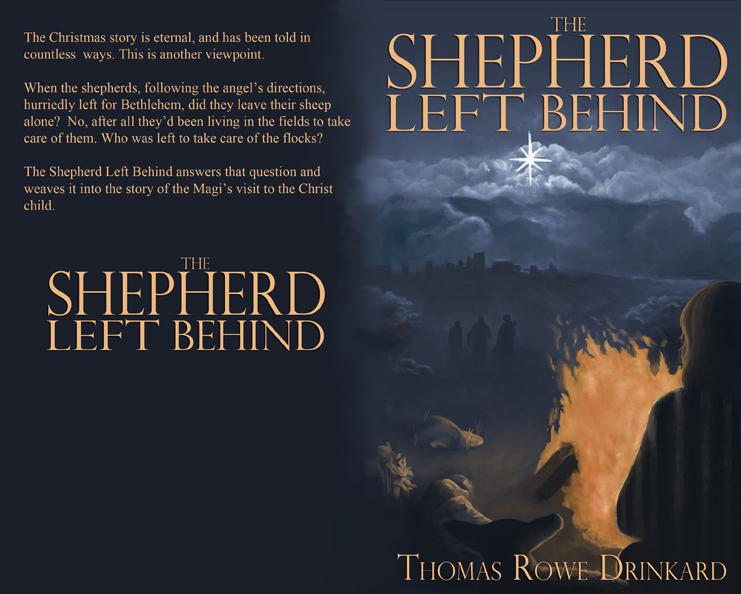 Amazon now has the paperback version of The Shepherd Left Behind available! Now we’re waiting for audible.com to release the audiobook version, narrated by Charles Kahlenberg. The little fable has already garnered one five-star review! The project is quickly coming together. Enjoy the eye and ear candy! Here’s the paperback book cover, designed by Marion Sipe. And this is a brief sample from the audiobook, narrated by Charles Kahlenberg. Last year, during the Christmas Season, I published a story, in serial form, on this blog. I called it A New Fable for Christmas. It was quite popular so, this year, I’m going to publish it in Audiobook, digital (Kindle, with Nook available by special order) and paperback. I plan to have at least two internal illustrations in the paperback version. The new title will be The Shepherd Left Behind. When you read the Christmas story in the second chapter of Luke, the story of the shepherds says, in verses 15-18 (NIV). Luke’s gospel is silent about whether the shepherds left anyone to guard the sheep. They wouldn’t have left them alone and unguarded; after all they were living out in the fields just to tend them. The story is about a nine-year-old boy, Joshua, who was left alone to watch the sheep while the others went into Bethlehem to see the Christ child. He is not alone for long, an angel named Jude has been sent by Gabriel, to stay with him and comfort him. Charles Kahlenberg, who narrated the audiobook version of the book, Overload will be the voice on this audiobook. My son, Michael Drinkard will provide internal drawings for the paperback version. The covers for all three will be done by Marion Sipe who created the cover for my book, Warrior’s Psalm. Check back as the season approaches (Christmas decorations are already on sale in Sam’s and other stores), for special announcements. I hope to be able to present the cover soon. I’m looking forward to sharing all three versions with everyone. Shakespeare, of course, said it best. I understood—I had lied in summer. would be the season’s glory. and trembles leaves still clinging to naked branches. touches the long fingers of a new sun. I wrote this several years ago, because I’d been seeing poets/writers using images and words about Fall that they “stole” from other writers/poets. No plagiarism, just unconscious repetition. Flashing cold fire in the lake. Swooping at once to ground. I usually won’t pre-order a book. In the case of The Promise in Plan B, my order is already on file with Amazon. The book won’t actually be available until September 15th. When Plan A, our original pathway that we’ve expected to take us to the finish line fails. We cannot allow it to let us fall. We must have a fallback position. Following is a synopsis from the publisher, Shorehouse Books. (St. Paul) – Life offers us plenty of opportunities. We construct our life plan—our Plan A, but life is never so simple. It tests us with setbacks, dead ends, hellos and good-byes. To put it simply: Sometimes, we get stuck. 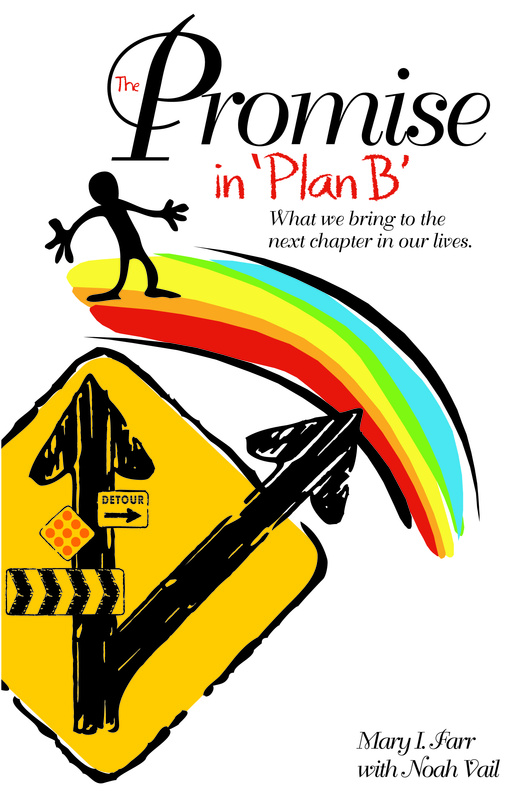 However, The Promise in Plan B (Shorehouse Books, 2015) confronts fears about these changes and obstacles and encourages readers to develop a new life path. Farr changes that perception in The Promise in Plan B which is grounded in the reality that life tends to be a series of interruptions, and we each possess a wealth of resources to initiate, investigate, and recreate the way we travel through our shifting courses. Unlike predictable job skills, these resources emphasize resilience, courage, imagination, humor, curiosity, and more. Farr includes personal stories and profiles of people from all walks of life who have faced challenges, despair and unforeseen obstacles but in the midst of the turmoil recognized their Plan B. The Promise in Plan B explores themes of grace and gratitude seasoned with a generous dose of wit. Each chapter includes a Consider This section which contains questions and observations designed to encourage readers to open their hearts to new ideas. Farr also added journaling pages at the end of the book for those who would rather explore their reflections solo. Noah Vail, Farr’s well-known equine alter ego whose book Never Say Neigh has garnered numerous accolades is also present in The Promise in Plan B. 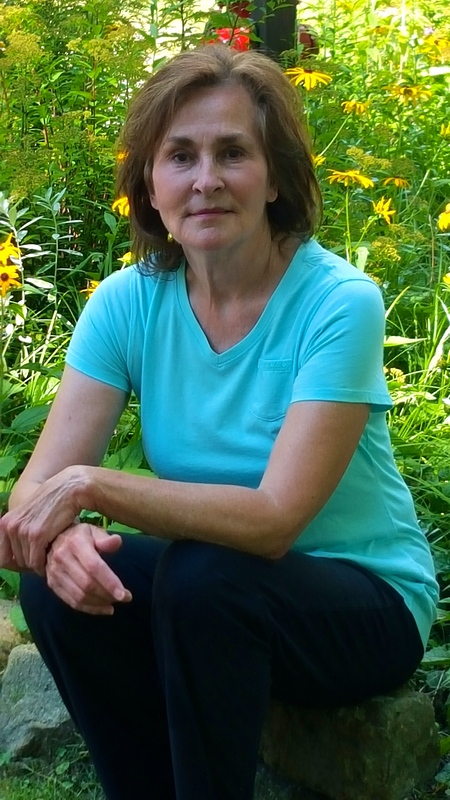 A graduate of the University of Wisconsin with a Bachelor of Arts degree in English, Farr completed her divinity studies in the Episcopal Diocese of Eau Claire, Wisconsin where was ordained to the permanent diaconate in 1983. She received her Master of Arts degree from St. Catherine University in her hometown of St. Paul, Minnesota. She is the author of five books including the critically acclaimed If I could Mend Your Heart and Peace: Intersections Small Group Series. Murder by 4 Excellent blog by talented writers.